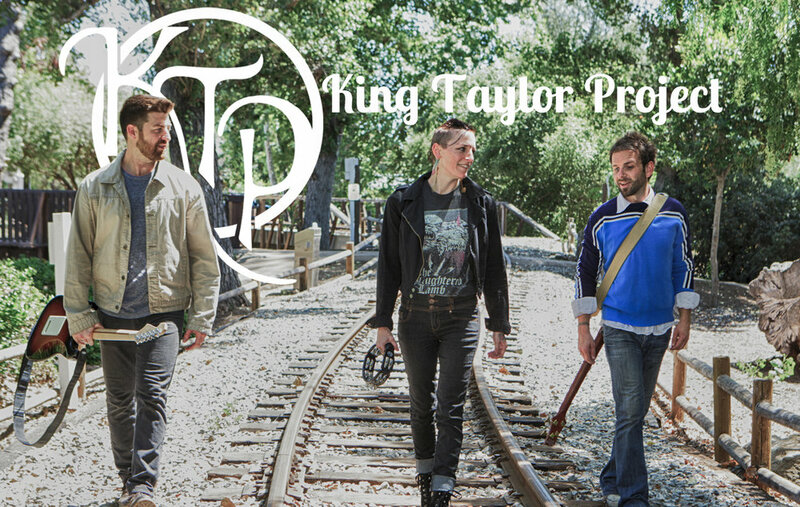 Sandi King and Joshua Taylor formed soul-blues band King Taylor Project in 2016 in San Diego, California. Sandi and Josh are joined on this tour by one of their core band members David Ryan “davyrockett” Norgren. KTP performs frequently around Southern California in multiple formats ranging from an electric trio to their full lineup. 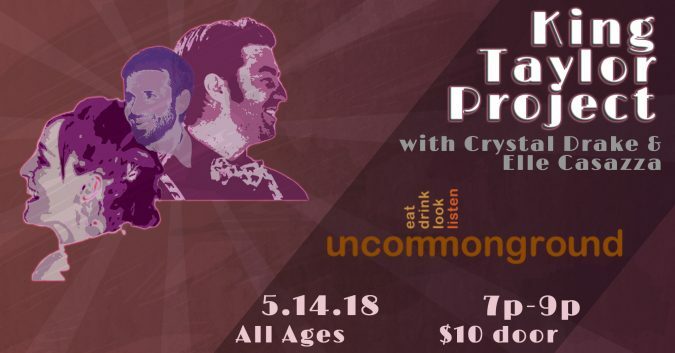 They tour and record independently, provide studio and live backing support for other artists, and host and produce The About!… Podcast, a comedic arts/entertainment show primarily featuring guests from the music industry. Joshua Taylor grew up in Oklahoma City and first picked up the guitar at the age of 13. Thereafter self-taught, Josh spent several years of his early adulthood studying music in his spare time, poring over textbooks and publicly available college lectures, studying his favorite records, consulting remotely with professors, and scrutinizing performance videos of his favorite players. By day he meandered half-heartedly through several years in the Navy, flirtation with academia, and training as a marriage and family therapist. After a few years as a part-time singer-songwriter, Josh got his first batch of tunes together and self-released his debut solo album, About Time, in 2015. The record invited collaborations that would later become the seed for King Taylor Project—Sandi King and KTP keyboardist Josh Weinstein both performed on the album. Energetic, colorful, powerhouse vocalist Sandi King has been performing since she was ten years old. The daughter of a jazz trumpeter, Sandi grew up in San Diego singing in front of big bands and in school choirs and musicals. Though her adult life initially took her to cafés and service industry jobs, through culinary school and into the kitchen, Sandi nurtured her passion for singing by night, haunting karaoke joints in San Francisco and playing a major supporting role in a three-year run of indie rock opera, Abigail. Sandi took a leap into full-time music in 2011 with her first project, Americana duo 22 Kings. She quickly learned the responsibilities of self-management and became a capable booker through extensive independent regional and national touring and local engagements. Her first project released two albums that included studio contributions from Ed Kornhauser, Peter Bolland, Ross Harper, Jodie Hill, Jesse Bowen, Sven-Erik Seaholm, and Delta Rae producer Alex Wong. The albums also featured Sandi’s first collaborations with her husband and KTP co-founder Joshua Taylor and KTP bassist davyrockett. 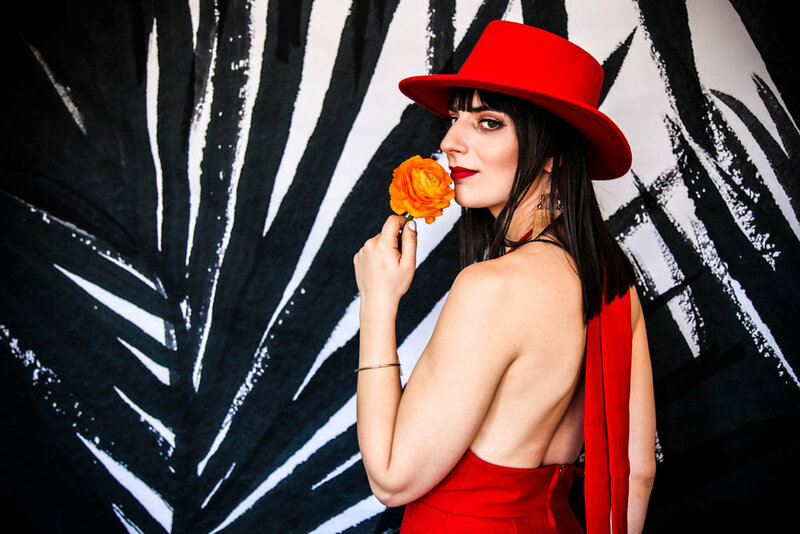 Elle Casazza diversifies the pop scene with her own refreshing and authentic blend of jazz, soul, funk and pop rhythms that are seamlessly crafted into her songs. Elle’s commanding vocals, defying songwriting and versatile approach produces infectious and timeless music that garners fans worldwide. The re-creative and contemporary singer-songwriter showcases her retro-pop style in her latest record, Proof. The album was released at the end of 2016 and contains the lead pop-funk single and video, “Too Bad.” Elle Casazza gears up for her second release and music video entitled, “You.” The new track is a rousing love ballad highlighting a devoted relationship that is continuously endless. Casazza’s impassioned vocals lead us into an empowering bridge that carries out the song with a full band and harmonic back-up vocals. Proof explores a variety of genres that display Elle Casazza’s creative depth and musical diversity. The full-length features 1960’s soul influenced singles such as “Hey” and “Cooking” as well as, tracks like “Save Me” that contain funk-rock and jazz fusion elements. Elle cohesively blends a wide range of musical expressions that smoothly unfold as the record continues. With her latest album Proof, Elle hopes to “deliver authenticity by bringing the live band back to pop music,” she says. Hailing from Chicago, Elle began singing and performing when she was eight years old. After learning how to play the piano and guitar, it wasn’t until college when she started writing her own music. Elle’s eclectic lyrical style has been considerably influenced by classic artists such as Amy Winehouse, No Doubt, Stevie Wonder and Queen. Casazza’s songwriting process stems from personal experiences that narrow into particular themes and narratives where she can openly express herself. Her sincere and unapologetic songwriting oozes with passion and illuminates an engaging listening experience. Her powerful and silk-like vocals are complimented by retro-pop elements that bring her personal stories to life. In May 2013, Elle Casazza made her recording debut with her EP, For Your Pleasure. In 2015, she released three stirring singles “Witness,” “Rainy Days” and “Soft & Low” which received media praise from Paste Magazine, Midwest Action, WLUW’s Radio One show in Chicago and more. Elle Casazza has performed at some of Chicago’s premier venues such as Concord Music Hall, Martyrs, Mayne Stage and many others. 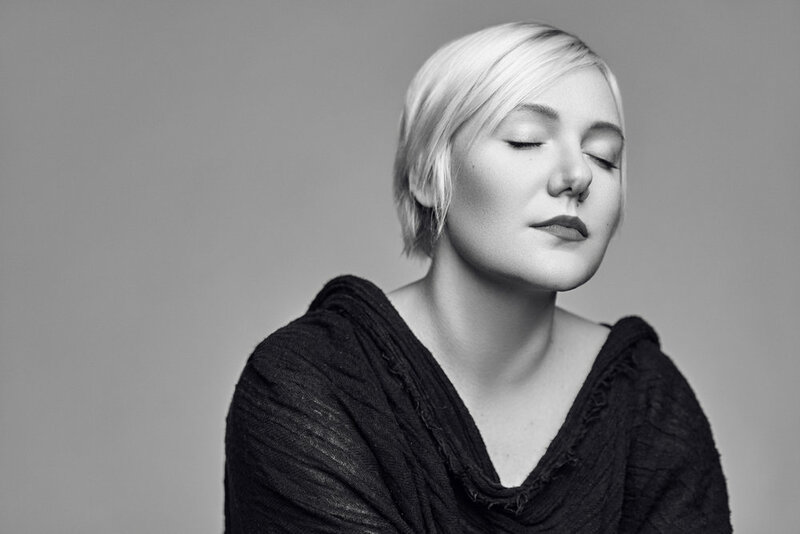 Performing either solo or with her five-piece band; Elle delivers an energetically live show that showcases her heartfelt and compelling vocals along with contemporary instrumental grooves. Elle continues to add additional tour dates to support her latest release, Proof. Crystal Drake is a Pop R&B singer whose earthy vocals have been described as “refined” and “emotionally charged.” Her powerfully earnest singing borrows from gospel and soul traditions. Crystal’s songwriting is thoughtful, grounded and moving. “We all need a little push to believe, to appreciate, to listen and to love.” Her soulful voice nudges us to feel and remember that we are divine.